Dr. Raymond Hatland believes every patient should have a beautiful smile that projects health, wellness and youth. 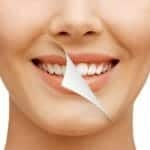 If you want to improve the appearance of your smile, porcelain veneers could be a good option for you. Read on as Dr. Hatland reveals some signs that indicate you could benefit from veneers. Root canal therapy is performed when the dental pulp, or the soft tissue inside the tooth, becomes infected or inflamed. This can occur due to a deep cavity, a cracked or otherwise damaged tooth, or repeated dental work on the tooth. Leaving an infected tooth untreated can have serious consequences; the infection can become so severe that it damages the bone supporting the teeth, or requires the affected tooth to be extracted. Holistic dentistry is a very exciting area of dentistry. 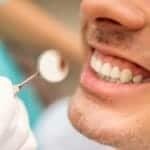 However, many patients are not familiar with the principles of holistic dentistry, nor do they understand how it differs from traditional dentistry. To help set the record straight, Dr. Raymond Hatland, a leading Chicago and Indianapolis holistic dentist, answers frequently asked questions about his specialty here. On the surface, the Fastbraces® system doesn’t appear to be too different from traditional braces. But as Dr. Raymond Hatland’s patients already know, Fastbraces® technology offers many advantages over to traditional braces — most importantly, accelerated results and shorter overall treatment times. Read on as Dr. Hatland compares the two options and highlights some of the incredible benefits of Fastbraces®.